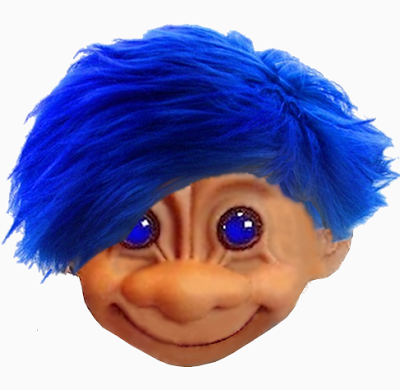 I don't think we Snowflakes and Normies fully appreciate just how difficult it is to be a White Supremacist these days. First of all, choosing which group to belong to isn't easy. 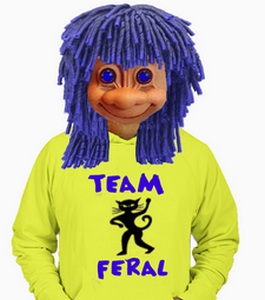 There are some groups that are anti-Jew and some that are anti-Black and then some are both. And then there are groups that just want Whites to stay in power and others want Whites to have their own country. Picking which hate group to pledge allegiance to is a major life choice. And then once you do pick a group then you have to know which other hate groups are your friends, which ones are your competition, and which ones are really Feds in disguise. 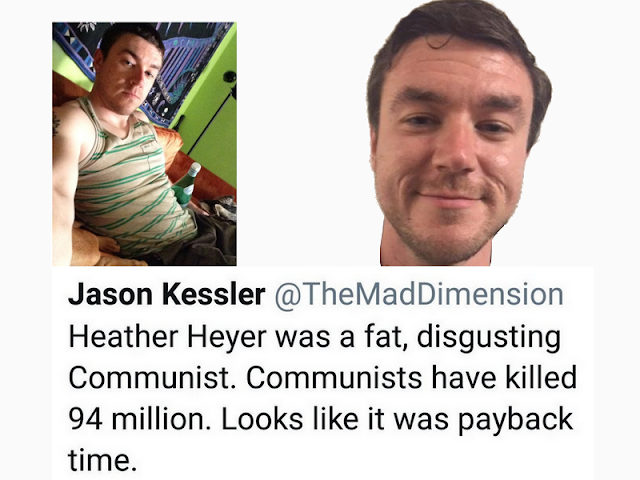 So take #WhiteSupremacistProblems into consideration when you read this post about Jason Kessler. The poor man has been under a lot of stress since he organized the Charlottesville rally. 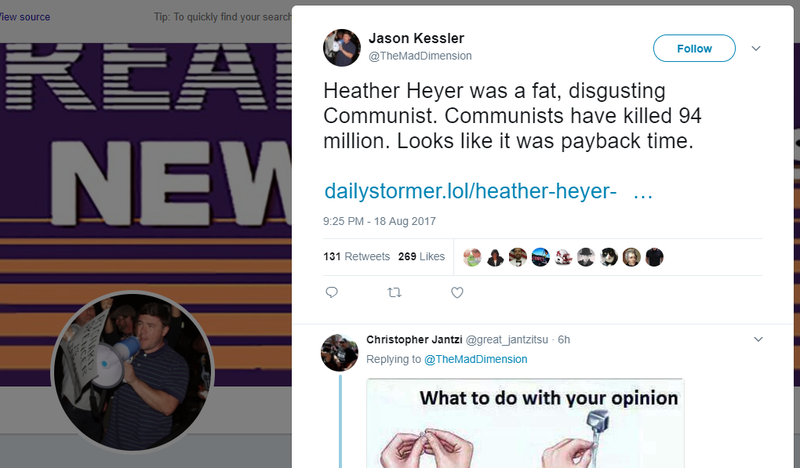 That not only resulted in the murder of Heather Heyer, but created an international backlash against White Supremacists. Poor Jason's event will most likely be cited in history as a major highlight of the Trump administration. 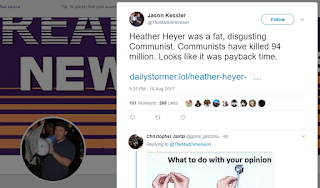 And so on Friday night, a nasty tweet about Heather Heyer was sent from @TheMadDimension, the Twitter account of Jason Kessler, organizer of the Charlottesville Unite The Right rally. 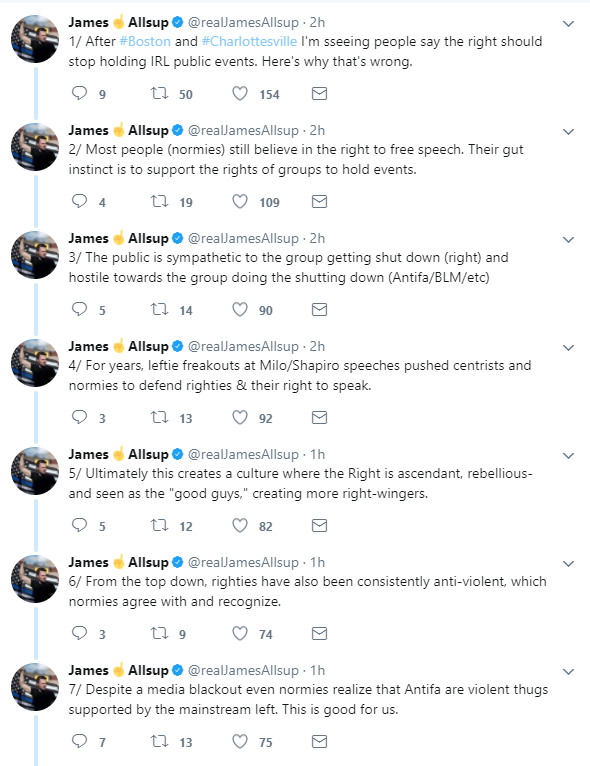 The tweet was deleted but not before it generated a lot of buzz on Twitter and in the Alt Right network. Richard Spencer distanced himself from Kessler not because "Payback" is morally reprehensible but because it was announced publicly. But Kessler claimed he was hacked and the Tiny Nazi, Weev Auernheimer, claimed he was the one who did the hacking. 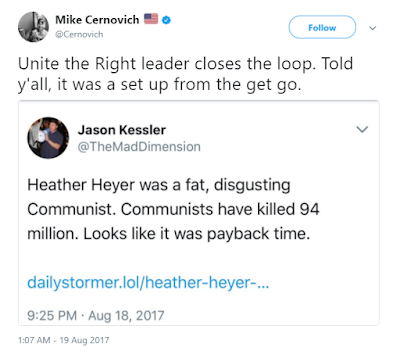 Of course Mike Cernovich had a conspiracy theory ready. 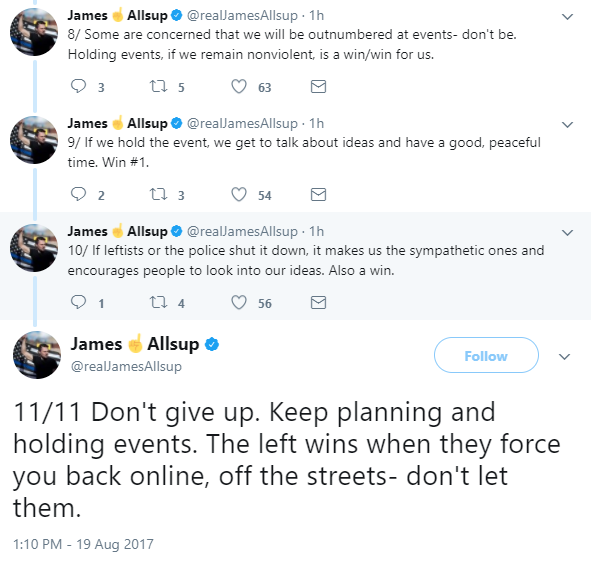 the Unite The Right rally in Charlottesville was a Federal false flag event and the tweet was proof. Naturally Cassandra Fairbanks was upset about the tweet because Cass is morally superior to everyone on Twitter. Once she remembered that the people trashing the murder victim are the same people that she panders to, Cass deleted that tweet, but she's considering becoming a doomsday prepper as her version of sheet caking. According to Evan McLaren, the Executive Director of the White Supremacist think tank, National Policy Institute, it seems Mr Kessler was lucid enough to call and tell him of his plan to smear Heather Heyer. 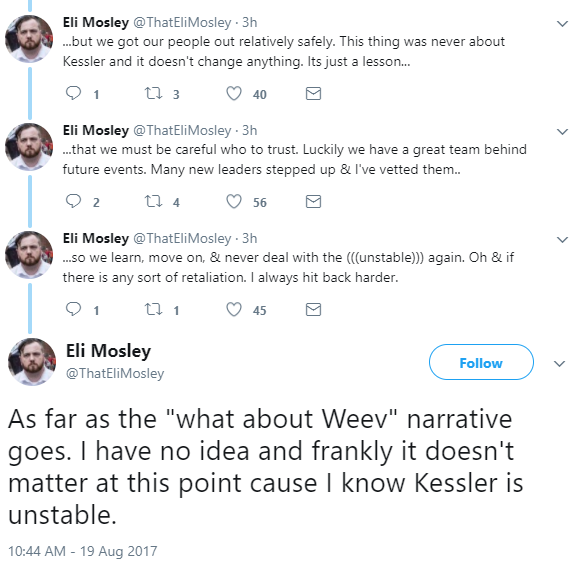 Eli Mosley, aka Elliot Kline, also claimed Kessler called him about his brilliant idea of going after Heather Heyer. 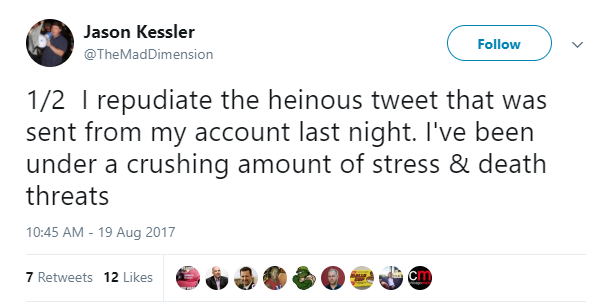 I guess there was enough backlash from his peers that Kessler repudiated his tweet without actually taking responsibility for posting it. And without knowing the definition of "repudiate". 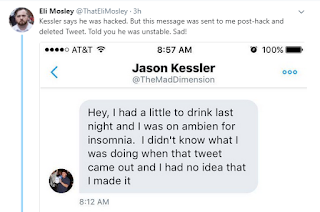 Jason claimed amnesia and blamed the tweet, if he made it, to be the result of a combination of Xanax, Ambien, and alcohol. So basically it was a drug and alcohol induced blackout and not the first time its happened. 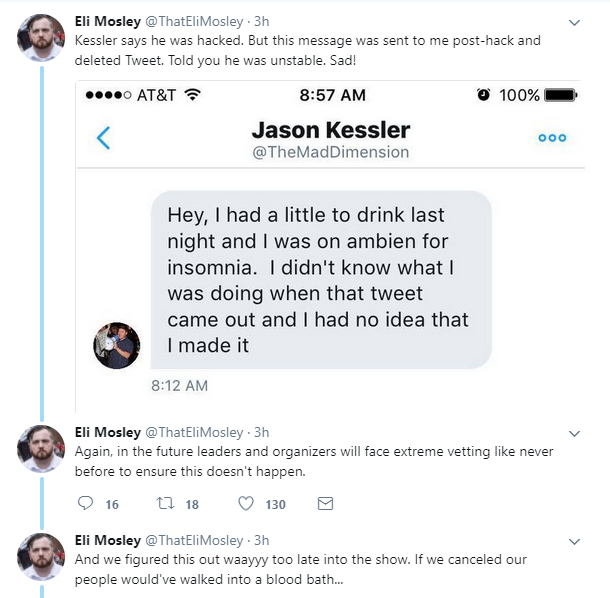 Instead of organizing White Supremacist rallys Jason might consider entering rehab. It would make it easier for him to claim superiority over others if he wasn't a sloppy drunk. Meanwhile the Alt Right are going at each other with accusations and acrimony. What a lovely weekend so far! 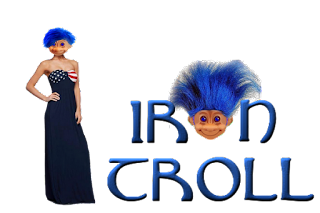 The Alt Right infighting is amusing.